It’s not just big ideas that win elections (don’t we know it! ): style counts, big time. 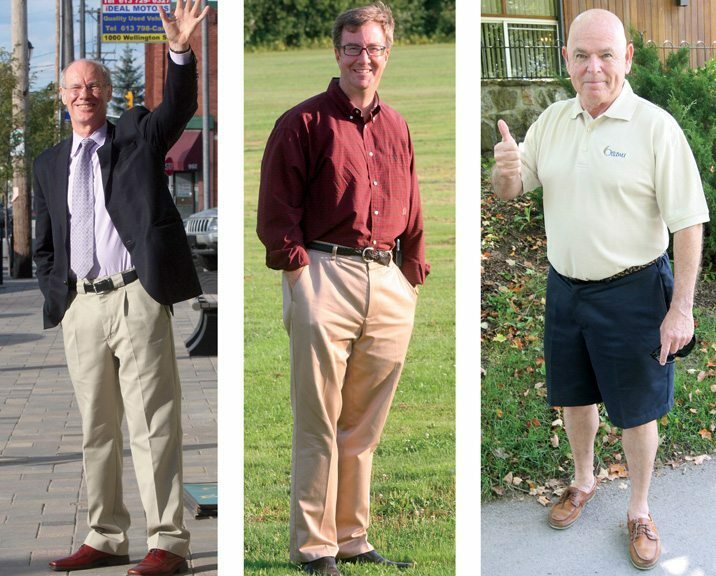 Writer Paul Gessell polls the experts to reveal how the sartorial splendor — or lack thereof — of the three main contenders may influence your vote (and determine who takes home the big prize). On paper, Alex Munter had it made in the 2006 mayoralty race. The bilingual Munter had several years’ experience on city council and was a polished speaker. His opponent, Larry O’Brien, lacked both those attributes but still won. Why? The short answer: style trumped substance. The Munter campaign did polling even before O’Brien entered the race and discovered that voters wanted someone who looked like a businessman. O’Brien had that look. Munter did not. Based on that 2006 style-trumps-substance scenario, what are the dos and don’ts for aspiring mayors this time around? the rumpled shirt-and-tie banker look and the relaxed, full Glebe. makes him look more like the boy next door than the mayor-in-waiting. Right: Larry O’Brien’s shaved head and perpetual smile are his greatest style advantages. Experts were divided on the bald factor, though. Does it shout “power” or are the positive vibes from the Daddy Warbucks look ebbing?